New Delhi: The strike by resident doctors of Deen Dayal Upadhyaya (DDU) Hospital was called off tonight, five days after it had started, following a meeting between the doctors and the state health secretary. “We have discussed all our demands with the health secretary and he has given assurance to work on them,” Dr Sumit Paria, president of DDU’s Resident Doctors’ Association (RDA) said. 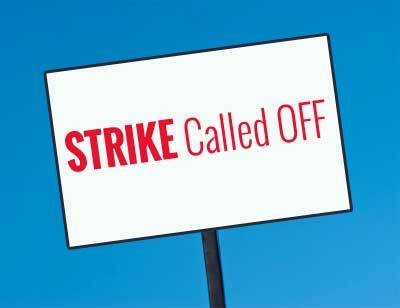 Around 10 Delhi government hospitals which had also gone on strike in solidarity with their counterparts in DDU also called off their strike. Resident Doctors in West Delhi’s Deen Dayal Upadhyay hospital had gone on strike following an alleged assault on their colleague. Resident doctors from Baba Saheb Ambedkar, Acharya Shree Bhikshu hospital, Rao Tula Ram Memorial and Sanjay Gandhi memorial hospital, among others had joined the strike yesterday, affecting routine and emergency services in their establishments. Resident Doctors’ Association of AIIMS had also threatened to go on strike if the government did not fulfil the demands of the doctors in DDU. “We strongly condemn the repeated attacks on resident doctors by anti-social elements. It is the duty of hospital administration and the government to provide security at their work place,” AIIMS Resident Doctors Association said. “We request government to fulfill the demands of the resident doctors with immediate effect…if this stubborn attitude of the government continues then resident doctors at AIIMS will be left with no other option except joining the striking doctors by strike at AIIMS,” it said. The flaring practice of inflicting injuries through violence on soft targets such as doctors must be arrested. An act to curb it must be enacted , All those who participate in the violence in hospitals or on doctors should be treated as criminals to curb their mob mentality and law must take suo moto action against them. Looks like the sword of \’strike\’ that the doctors exhibit during their darker times, has lost its cutting edge.